Basically Samsung PC Suite is a software tool, where it is used to establish as interface between Samsung mobile devices and computers that run on latest android version. Where it is used to transfer images, music and some applications. Even we can connect directly to Bluetooth and USB. There are so many Samsung PC suites are available in Samsung app store such as like Samsung Kies 3, Samsung Kies Air, Samsung Kies Mini, Samsung PC Studio. 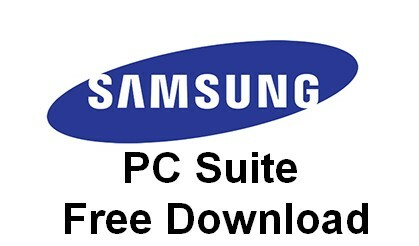 All Samsung PC Suites are available freely. You can download from official website of Samsung app store. It has a capacity to support all types of windows like Windows XP, windows 7 and Windows 8.1. If you are using latest Samsung Galaxy models then you must use Samsung Kies 3 PC suite. It does not support any other Samsung PC. Here i will also tell you how to install Samsung PC suite for windows. 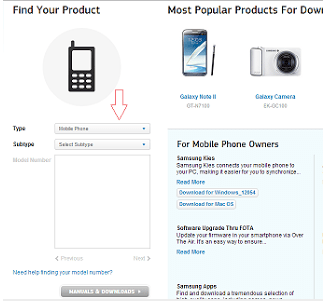 Step 2 : Now you have to select the mobile phone type, next you need to choose appropriate sub type of your mobile phone. After that you need to enter mobile number. Now you will get option like “Manuals and Downloads” option. Step 3 : Just click on that link . It will open to other page then click on download software. Step 4. That’s it you have done the process. Windows 7,8, KN, N : You need to have media feature application. Basically Samsung PC suite connects mobile phone to your PC. By using these software tools you can simple exchange your important files, music, images into device. Even you may connect internet also. Even i have covered latest version of Samsung PC suite and USB Drivers. Just Download Samsung Mobile PC Suite and use it.